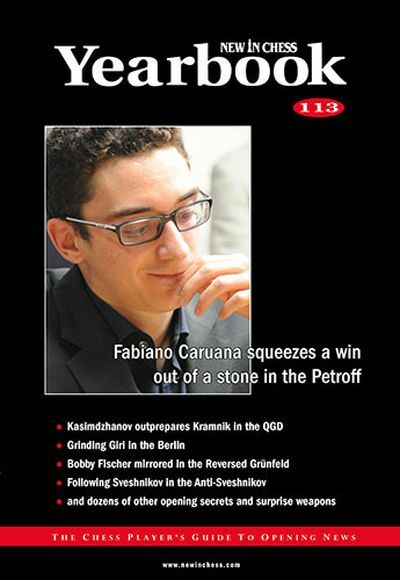 In Kuzmin�s Harvest, Alexey Kuzmin takes a �literary� look at important opening developments at the Sinquefield Cup and the Bilbao Masters. We offer a preview of Alexey Bezgodov�s new book on a surprising opening weapon for Black: The Liberated Bishop Defence. A universal weapon for club players and beyond! Glenn Flear reviews The Sicilian Sveshnikov by Vassilios Kotronias, Victor Bologan�s Black Weapons, Alexey Dreev�s The Cozio Defence, and The Modern Bogo by Dejan Antic and Brainimir Maksimovic.